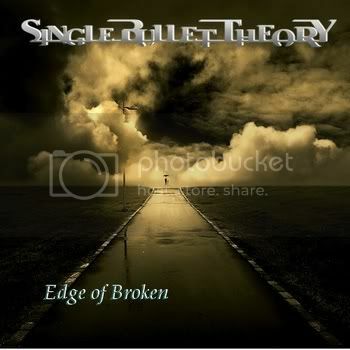 Philadelphia-based metallers SINGLE BULLET THEORY have debut the video for their new track 'Edge Of Broken' above. The song is a reworked piece of older material that will appear as a bonus track on the band's forthcoming self-titled album, which the band is set to record this fall. The song is available for purchase on Bandcamp.com. Guitarist/vocalist Matt DiFabio commented on the track: "This is the song that got the band moving again after an almost three year hiatus. Written about the rise and fall of Single Bullet Theory and the never say die approach that I (Matt DiFabio) has toward this band or my musical vision. I personally feel that this is one of the best SBT tracks ever recorded as it exemplifies exactly what this band is made of musically. This track really came to life by the help of Mr. John Ruszin III. Everyone reaches the 'Edge Of Broken' at one point in their life... It's all about what you do once you get there!" 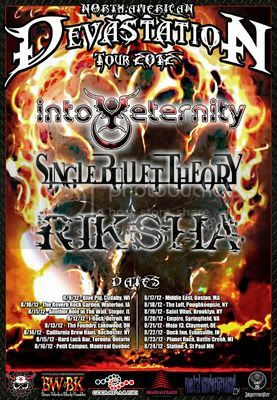 Single Bullet Theory is currently gearing up for the North American Devastation Tour with INTO ETERNITY and RIKISHA. The tour will kick off on August 9th in Cudahy, WI. The band will stay out on the road until August 21st and then hit the studio to record their fifth full-length album. 9 - Blue Pig - Cudahy, WI? 11 - Another Hole In The Wall - Steger, IL?